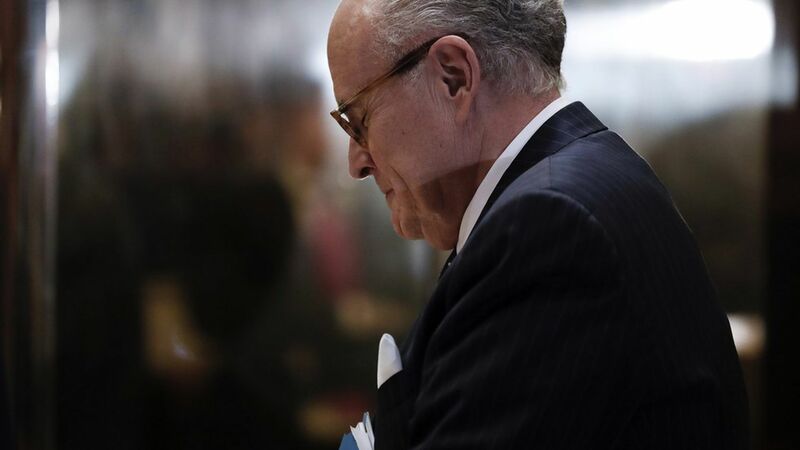 Former New York City Mayor Rudy Giuliani told CNN Monday he's not being considered to replace Attorney General Jeff Sessions. Axios' Mike Allen reported this morning that President Trump has raised the idea in internal conversations. Giuliani also broke from Trump in saying Sessions "made the right decision" to recuse himself from the Russia probe. Why it matters: As Mike noted in his report, Trump often muses about possible personnel moves that he never makes, and there's no indication as yet that Trump is willing to fire Sessions. But Trump is clearly displeased with his "beleaguered" A.G., and wants to bring people he knew before he entered politics into the fold.